“Brushes alone are no longer enough for the artist. A sort of total art is necessary precisely in the light of all the attempts already made”. The volume by Germano Celant constitutes an art-critical and historical analysis of Paladino's work since 1963, pinpointing his contribution to the renewal of painting and its further extension to encompass installation as well as photography, sculpture, architecture, cinema, opera and theatre. The monograph opens with Germano Celant's essay The Constructions of Mimmo Paladino and continues with a chronology (compiled by Celant and Diletta Borromeo) of the master's life and career, richly illustrated with images and statements of artistic intent, followed by lists of exhibitions and special projects, and a bibliography. 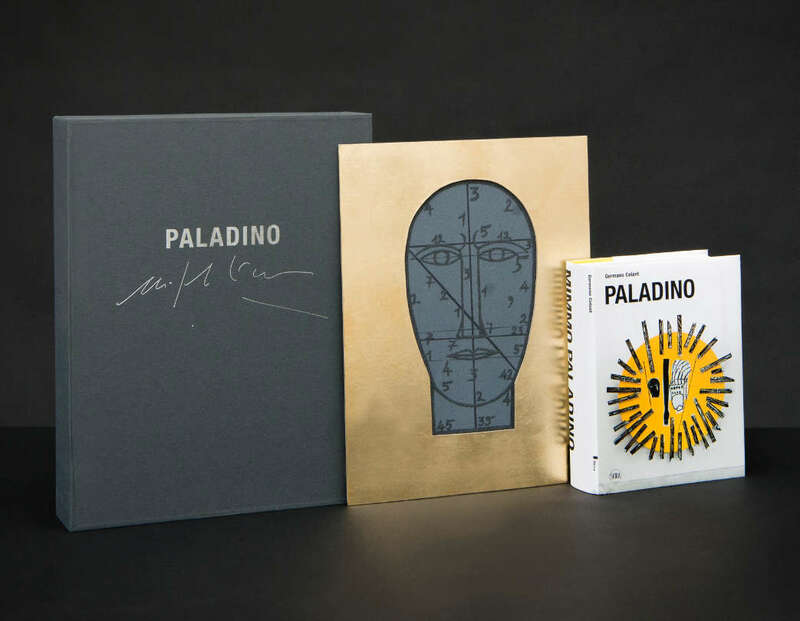 Edition of 90 + X copies signed and numbered by the artist, 10 numbered artist’s proofs, 1 proof with a dedication ad personam. Silkscreen print on 600-gram Arches pasteboard in 14 colours. 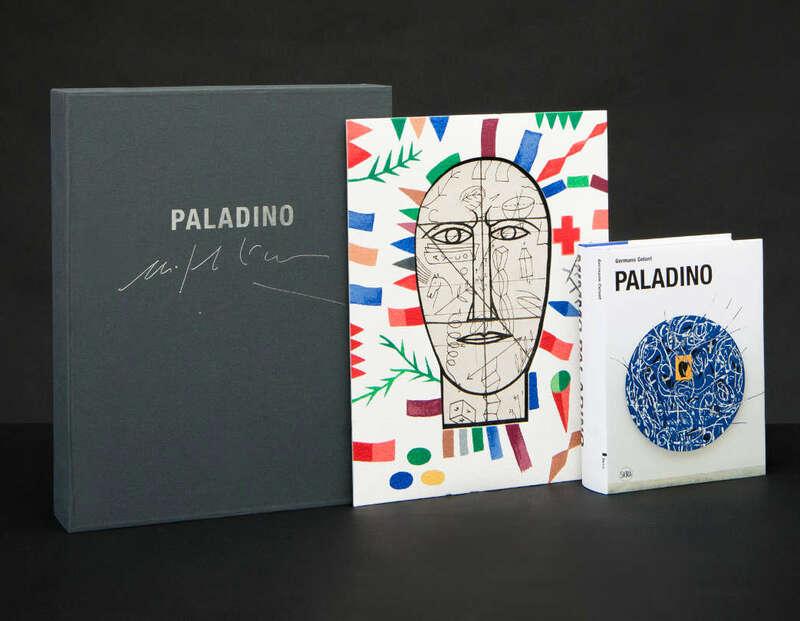 One of the contemporary artists most acclaimed at the national and international level, Mimmo Paladino has forged a personal language regenerated through an all-encompassing vision of the creative experience, reimagining what we are and our places of origin. His vast and constantly expanding repertoire of forms, motifs and ornamentation ranges from drawing, painting and sculpture to architecture and stage design, creating a timeless universe in which stories and legends circulate once again. As Paladino stated in 1985: “Brushes alone are no longer enough for the artist. A sort of total art is necessary precisely in the light of all the attempts already made”.